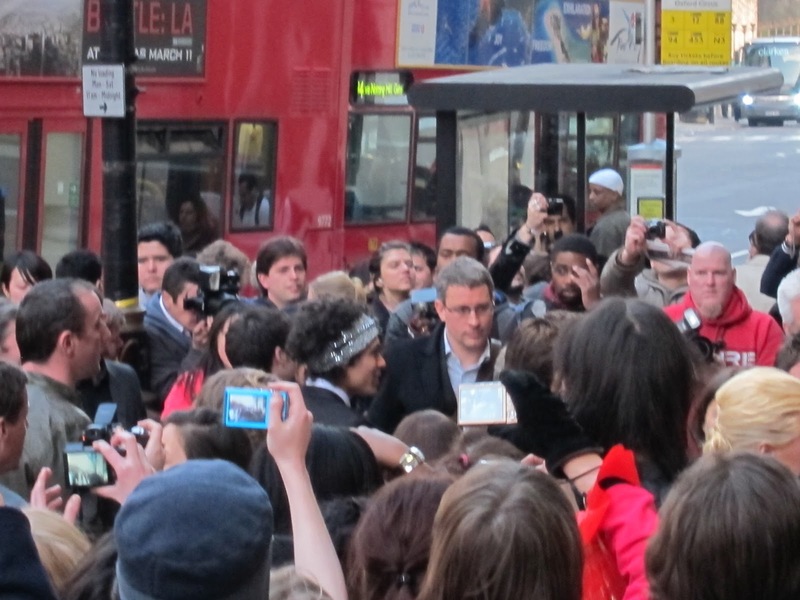 I had no idea who the celebrity is in this picture when I took it. Why then did I feel the need to take a random photograph of a crowd of people taking pictures of somebody? I encountered a mob of people screaming with delight and yelling a name I did not recognize. People around me rushed forward. Paparazzi clicked away. So I took some photos and figured that I might decode who I had almost met. The funny thing is that my daughter grabbed a piece of paper and a pen and headed into the crowd to get an autograph. She had no idea who she was seeking either. Why do we respond in this manner? Was it the energy of the crowd? The thought that somebody famous was just beyond reach? Curiosity? The presence of paparazzi? We later learned that the actors and actresses of the film “Killing Bono” were arriving for the movie’s premiere. I am not sure if it is coming to the US but they certainly created a stir if you happened to be on Regent Street in London. How does your enterprise get noticed? Who does it attract?